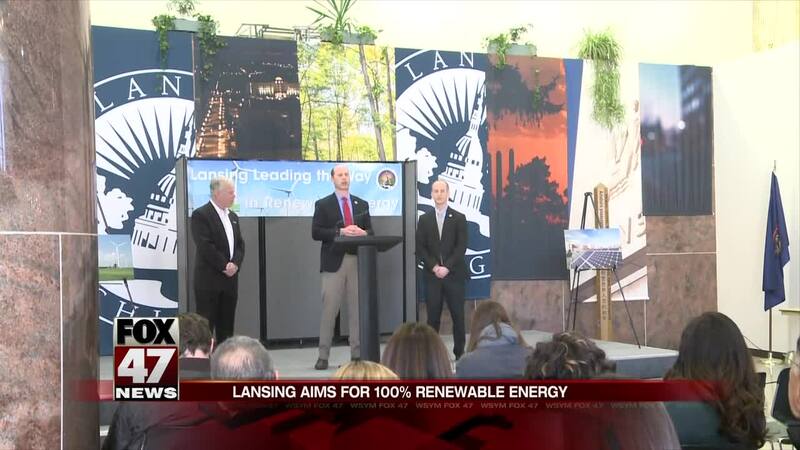 Mayor Andy Schor today announced he will propose to make the City of Lansing the first city in the State of Michigan to power all of its government buildings using energy from 100 percent renewable sources. LANSING, Mich. — Mayor Andy Schor today announced he will propose to make the City of Lansing the first city in the State of Michigan to power all of its government buildings using energy from 100 percent renewable sources. The Lansing Board of Water & Light (BWL) will provide renewable energy credits to match the annual electric usage from all 187 city facilities with electricity generated from a renewable resource beginning July 1, 2019. The plan will be in Mayor Schor’s budget proposal to Lansing City Council during their meeting on Monday, March 25.